WASHINGTON, DC -- The experiences of Ukraine and Libya have taught other vulnerable countries around the world not to surrender their weapons of mass destruction under pressure from the west, according to Dan Coats, President Trump's director of national intelligence. He noted that North Korean dictator Kim Jong Un "believes that regime survival is dependent solely on becoming a nuclear power," and that this drives home his point around the world. "Unfortunately, the lessons learned have been if you have nuclear weapons, never give them up, because it's a deterrent from other actors who may want to interfere in your country," Dan Coats told the Senate Armed Services Committee. "If you don't have them, get them." 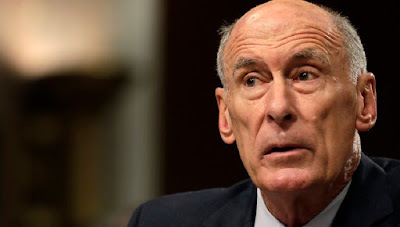 Coats referred specifically to Ukraine and Libya as cautionary tales for "rogue" and "marginal" states that might feel vulnerable. Ukraine agreed in 1994 to surrender its Soviet-era nuclear weapons stockpile in exchange for a pledge from the United States, the United Kingdom and Russia that none of the countries would violate Ukrainian sovereignty. But Russian President Vladimir Putin sent forces to annex Crimea, a region of Ukraine, and backed a separatist-movement in the eastern part of the country in 2014. "And so we see what's happened in Ukraine probably would not have happened if they had maintained a nuclear weapons capability," Coats said. And in Libya, the late dictator Moammar Gaddafi finally dismantled his weapons program, after years of sanctions and the George W. Bush-era invasion of Iraq. But Libya was eventually overthrown by western powers in 2011. "We, unfortunately, tend to be moving in the wrong direction as countries around the world think that gaining nuclear capability is a protection," Coats said. "Or, potentially, it could be used for offensive capabilities."